Now, this is just an amazing video! This guy is playing Ballblazer an Atari 800 that has been modified into a laptop. Who else wants one of these? Although the Atari 400 and 800 were pretty portable as they were, you would still need to plug them into a TV set. A laptop version would have been fantastic in the 80s - if only! 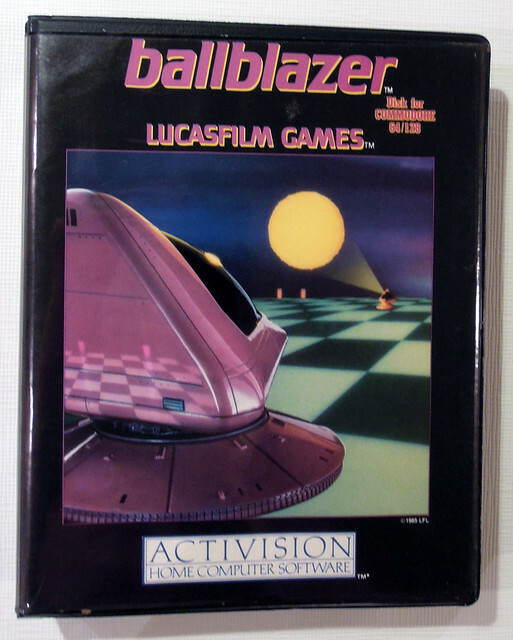 Ballblazer was developed by Lucasfilm Games (it was the company's first release) and published by Atari. 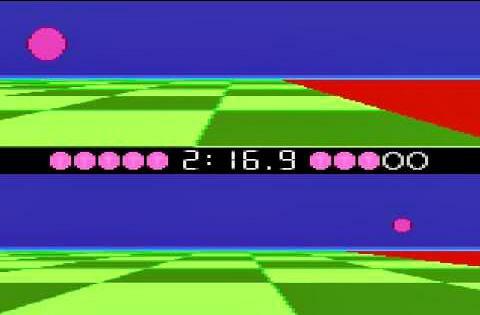 It was originally released on the Atari 8-bit consoles and computers, and then ported to most other models available at the time such as the Apple II, C64, MSX and ZX Spectrum. The game is best described as a one-on-one, futuristic football match (instead of players you control rotofoils) which takes place on a giant 3D chessboard style grid with a split-screen. 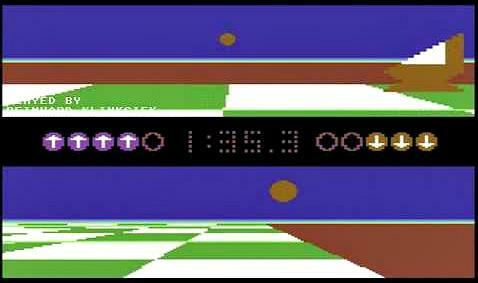 The game play was quite simplistic, but very exciting at the time. Both the graphics and the music were pretty awesome, and the latter was algorithmically (better get the spell-checker out!) generated. This was definitely one of the better game releases from the 1980's.